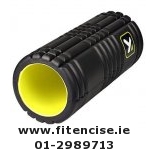 You can buy or purchase Foam Rollers in our Fitnecise Studios in South Dublin, Churchtown. __ The Grid™ foam roller is available in the following colors 1. Black 2. Orange. The Grid™ represents a revolutionary advancement over traditional foam roller technology. It won’t break down, lose its shape, or require costly replacement as a result of day-to-day use. The Grid can be used from the comfort of your home, as part of your daily massage routine, or integrated into your athletic activities to help support and achieve a comprehensive core workout. Being only 13″ long and 5″ in diameter, the sleek design of Being only 13″ long and 5″ in diameter, the sleek design of The Grid™ makes it an excellent travel companion makes it an excellent travel companion. 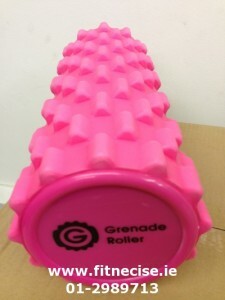 __ The Grenade foam roller is available in the following colors 1. Black 2. Blue 3. Pink. 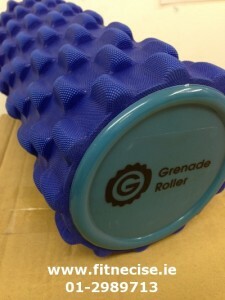 The new Grenade Foam Roller is designed to get deep into your muscle tissue for a great massage dimpled surface for deeper massage but not too severe. It’s core is hollow so it won’t lose it’s shape. 15cm x 33cm in size, compact enough to travel with. 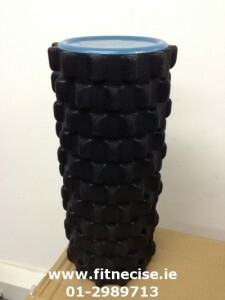 Can also be used to do abs work on.